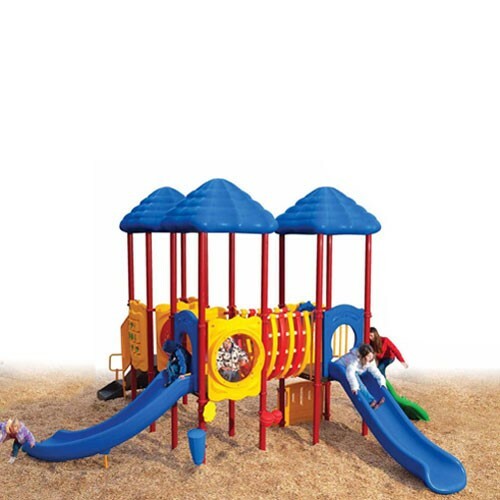 The Cumberland Gap Commercial Grade playsystem meets ADA guidelines and is commercially compliant with ASTM & CSPC. IPEMA certified. The Cumberland Gap features powder-coated steel posts, coated steel decks and rotomolded and blow molded plastic components. The Cumberland Gap is the perfect easy-install, commercially compliant and budget-conscious solution for day cares, churches and apartment complexes! Assembly required. Truck delivery.